If you are pregnant with twins and have been diagnosed with twin-to-twin transfusion syndrome, or if one or both of your babies have been seriously injured or died from this rare medical condition, you are likely searching for answers as to how and why it occurred, whether it could have been prevented and what the future holds. Below are answers to the nine most common questions asked by parents following a twin-to-twin transfusion syndrome diagnosis. Twin-to-twin transfusion syndrome (also called TTTS or twin-twin transfusion syndrome) is a condition that occurs primarily in monochorionic pregnancies in which blood flows unequally between identical twins who share a single placenta and are in the same amniotic and chorionic sacs. Twins who share a single placenta but have separate amniotic sacs are called monochorionic-diamniotic twins (mono-di), and twin-to-twin transfusion syndrome can also occur in about 10 to 15 percent of those cases. Fraternal twins in totally separate sacs (dichorionic-diamniotic) each have their own placenta and cannot develop twin-to-twin transfusion syndrome. Notwithstanding its name, twin-to-twin transfusion syndrome can also affect pregnancies with other multiple gestations, such as triplets and quadruplets. In utero, a baby receives blood through the umbilical cord, which is attached at one end to the baby at its abdomen and at the other end to the mother at the placenta, which is a temporary organ that develops in the mother’s uterus during pregnancy. The placenta provides oxygen and nutrients to the baby and removes waste products from the baby’s blood. Twin-to-twin transfusion syndrome occurs when blood passes unequally between monochorionic or monochorionic-diamniotic twins through the shared placenta’s blood vessels. One twin, called the recipient twin, receives too much blood; the other twin, called the donor twin, receives too little. This condition is dangerous for both babies. The recipient twin responds to its increased blood volume by producing a greater-than-normal amount of urine, which results in too much amniotic fluid. Amniotic fluid is made up primarily of the baby’s urine after about 20 weeks of pregnancy. The fluid protects and cushions the baby in utero; helps its lungs, digestive system, and muscles and bones develop; and provides the baby with important nutrients, hormones and antibodies. The fluid is contained within the amniotic sac, which is the thin membrane that surrounds both the baby and the fluid. When amniotic fluid levels are too high the condition is called polyhydramnios. Polyhydramnios causes the mother’s womb to over-expand and can lead to early labor and delivery. Excess urine production may also result in a large bladder for the recipient twin and massive fluid retention, called hydrops. Hydrops signifies that the twin has gone into heart failure. The donor twin responds to its decreased blood volume by becoming anemic (lacking in red blood cells) and producing a below normal amount of urine, which results in little or no amniotic fluid. When amniotic fluid levels are too low the condition is called oligohydramnios. Oligohydramnios causes the amniotic sac to cling to the donor twin, and the donor twin may be pressed against the wall of the mother’s womb. An ultrasound in the early stages of pregnancy can help identify monochorionic and monochorionic-diamniotic twins. As TTTS usually presents in the second trimester of pregnancy, doctors managing the care of monochorionic or mono-di twins should perform ultrasounds approximately every two weeks beginning at about 16 weeks of gestation to monitor for fetal weight discrepancies of greater than 20% and polyhydramnios/ oligohydramnios. Note that TTTS can occur at any time during pregnancy, including during the last trimester of pregnancy or even when the mother is in labor at term. This sudden occurrence of TTTS is called acute TTTS. TTTS that occurs over time (generally appearing at 12-26 weeks’ gestation) is called chronic TTTS and is the more common form of the condition. Are Some Cases of Twin-to-Twin Transfusion Syndrome More Severe Than Others? Stage 3: Doppler studies (which use sound waves to measure blood flow) are critically abnormal for either or both twins. These studies may show absent or reverse end-diastolic velocity (AREDV) in the umbilical artery, absent or reverse flow in the ductus venosus, or pulsatile flow in the umbilical vein. Stage 4: Fetal hydrops, which is massive fluid retention by one or both babies, is visible on an ultrasound; hydrops signifies that the baby has gone into heart failure. How Is Twin-to-Twin Transfusion Syndrome Treated? Treatment for TTTS depends upon the severity of the condition and the current stage of pregnancy. TTTS is a progressive disorder, meaning it gradually worsens over time, so early intervention has a higher chance of resulting in a better outcome. Depending upon how far along the pregnancy has progressed, delivery of the babies may also be an option. How Is Amnioreduction Used to Treat Twin-to-Twin Transfusion Syndrome? Amnioreduction is a procedure in which a needle is inserted under ultrasound guidance through the mother’s abdomen into the recipient twin’s amniotic sac to remove excess amniotic fluid. Fluid reduction helps prevent premature birth or miscarriage and eases the mother’s pain or discomfort caused by the excess fluid. Because amnioreduction does not treat the underlying cause of TTTS, it may be necessary to repeat the procedure multiple times as more excess fluid accumulates. How Is Selective Laser Ablation Used to Treat Twin-to-Twin Transfusion Syndrome? Selective laser ablation, also referred to as fetoscopic laser intervention, fetoscopic selective laser ablation or selective laser photocoagulation, is generally the preferred treatment for TTTS, depending upon the fetuses’ gestational age, location of the placenta and Quintero stage. It is a minimally invasive surgical procedure performed on the surface of the shared placenta in which laser energy is used to seal off the blood vessels that allow blood to pass between the twins. While this treatment doesn’t necessarily reverse the effects of TTTS, it halts its progression. Doctors insert a thin fiber-optic scope with a laser through the mother’s abdominal wall, through the uterus, and then into the amniotic cavity of the recipient twin. Using this tool, the doctors identify the blood vessels connecting the two twins that are responsible for the imbalance in blood and oxygen, and use the laser to eliminate them. The remaining normal blood vessels remain intact to continue to nourish the fetuses. Only certain hospitals and health care providers can perform this treatment. If there is any concern regarding possible TTTS, referral to a high-risk specialty hospital is appropriate. Before laser ablation, a detailed ultrasound examination can help doctors locate the abnormal connections between the fetuses, which can in turn make the procedure more efficient. Following the procedure, doctors may also perform an amnioreduction to remove excess amniotic fluid. How Is Selective Cord Coagulation Used to Treat Twin-to-Twin Transfusion Syndrome? Selective cord coagulation, also known as selective cord occlusion, is a minimally invasive surgery that closes off the umbilical cord of one of the twins by using an electric current or a laser. The procedure stops the blood flow to the at-risk twin in order to maximize the outcome for the healthier twin. The twin whose blood flow has been cut off will die and remain inside the uterus for the duration of the pregnancy. Selective cord coagulation generally is only used to try to save the remaining twin after doctors have determined that the demise of the twin whose blood flow is being cut off is inevitable. What Happens to Twins Affected by Twin-to-Twin Transfusion Syndrome? With proper treatment during pregnancy, it is possible for TTTS babies to survive and to not experience any significant medical issues. 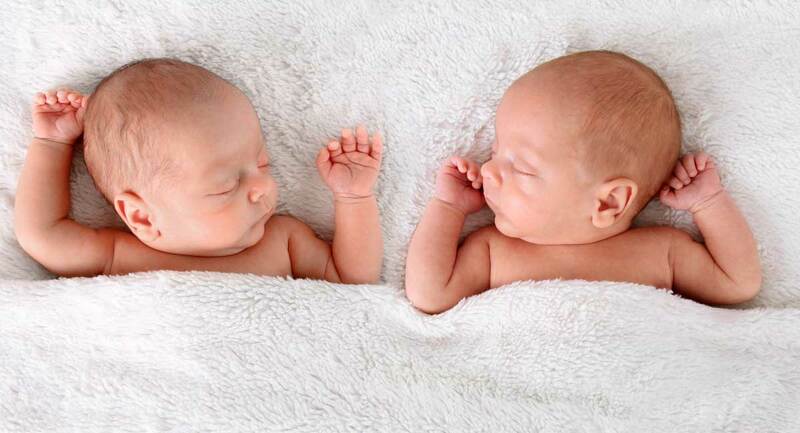 What Happens If My Twins Are Injured by Twin-to-Twin Transfusion Syndrome? The Birth and Neonatal Injury Lawyers at Feldman Shepherd Wohlgelernter Tanner Weinstock Dodig LLP are pursuing medical malpractice claims for children injured by twin-to-twin transfusion syndrome. The lawsuits filed on behalf of TTTS victims and families seek damages for the death of one or more babies, injuries to one or both, medical bills, loss of earning potential, pain and suffering, and loss of the pleasures of life.